This PhD research project ran from 2011-2015, and was funded by the Engineering and Physical Sciences Research Council (EPSRC) as part of the Doctoral Training Centre in Media and Arts Technology at Queen Mary University of London (EP/G03723X/1). The Great Highland Bagpipe is widely regarded as an instrument with a high barrier to entry. The Highland piping tradition requires the aspiring player to memorise a diverse array of distinct and formally defined ornamentation techniques before attempting all but the simplest of tunes, which can often take six to twelve months of regular and disciplined practice. The aim of this research is to develop technological tools to assist and accelerate this process. 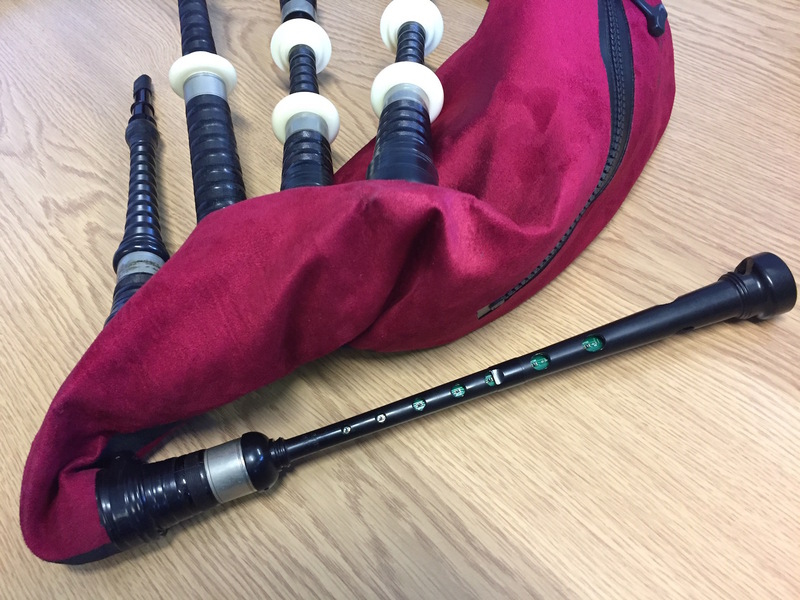 We have designed and built an electronic bagpipe chanter interface which uses touch-free infrared sensing to detect the continuous positions of the player’s fingers, allowing the user’s performance to be recorded and analysed using specially developed software. The computer program can act as both a solo practice aid to prevent the introduction of bad habits between lessons, and as an illustrative tool to assist an experienced instructor in communicating their feedback to the student. To address the specific challenge of learning the wide variety of ornaments that are a central aspect of Highland piping, a novel algorithm was developed for the recognition and evaluation of embellishments performed using the digital chanter. This allows feedback on the player’s execution of the ornaments to be generated. 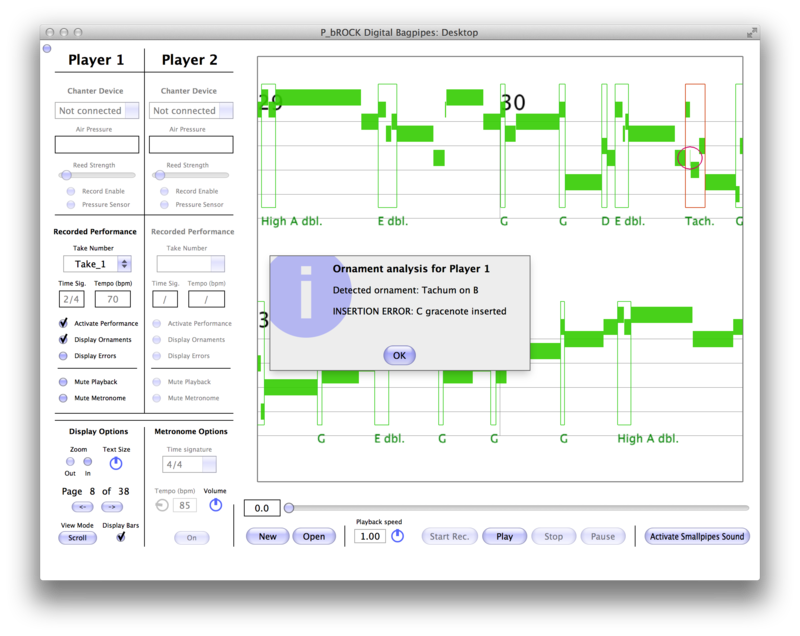 The ornament detection facility can also be employed for automatic transcription of bagpipe notation, and for performance scoring against a ground truth recording in a game interface. This work is an example of a digital interface designed to connect to a long established and highly formalised musical style. Through careful consideration of the specific challenges faced in teaching and learning the bagpipes, this project demonstrates how digital technologies can provide a meaningful contribution to even the most conservative cultural traditions. D. W. H. Menzies and A. McPherson. An electronic bagpipe chanter for automatic recognition of Highland piping ornamentation. Proc. New Interfaces for Musical Expression, Ann Arbor, MI, USA, 2012. D. W. H. Menzies and A. McPherson. 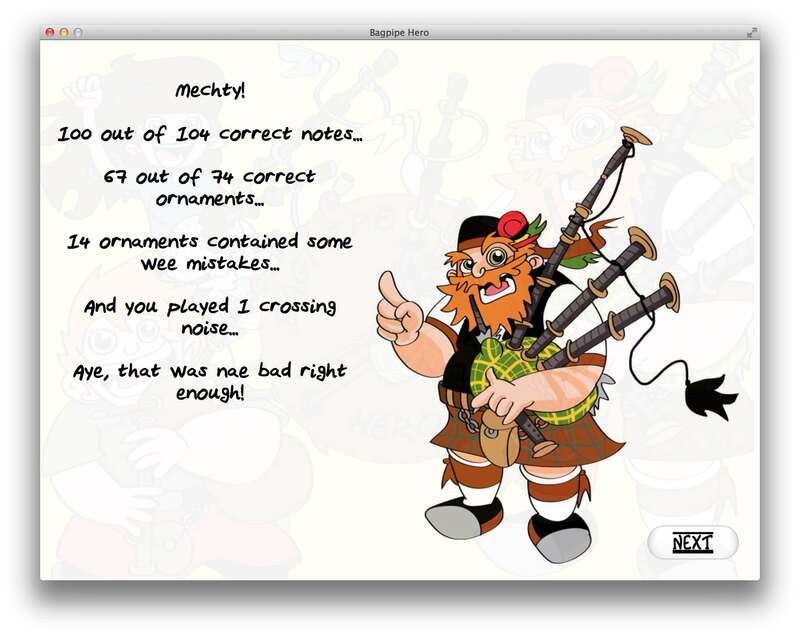 A digital bagpipe chanter system to assist in one-to-one piping tuition. Proc. Sound and Music Computing, Stockholm, Sweden 2013. D. W. H. Menzies and A. McPherson. Highland piping ornament recognition using Dynamic Time Warping. Proc. New Interfaces for Musical Expression, Baton Rouge, LA, USA, 2015. D. W. H. Menzies. Technological support for Highland piping tuition and practice. PhD Thesis, Queen Mary University of London, 2015.